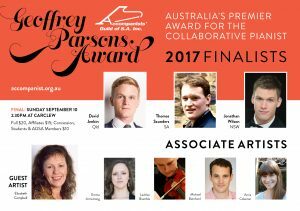 Geoffrey Parsons Award – Finalists 2017 – The Accompanists’ Guild of SA Inc. The final of the 2017 Geoffrey Parsons Award will be held on Sunday, September 10. 2.30pm at Carclew.